Stipp Law was founded on January 1, 2015 by Thomas Sean Stipp to offer counsel on a variety of legal matters. Tom Stipp, George Catanzarite and Chase Parker are the firm’s practicing attorneys. Tom was born in Terre Haute, Indiana, in 1970. He attended Indiana University at Bloomington and graduated with a bachelor of arts in 1993. Tom then attended the University of Notre Dame School of Law and completed his Juris Doctorate in 1996. He was admitted to the Indiana State Bar and U.S. District Court, Northern and Southern Districts of Indiana Bar in 1996. Tom is a member of the St. Joseph County, Indiana State, and American Bar Associations. In addition, Tom carries the distinction of Certified Family Law Specialist as certified by the Family Law Certification Board, Registered Domestic Relations Mediator, and Collaborative Law Attorney. George was born South Bend, Indiana, in 1984. He attended Purdue University at West Lafayette and graduated with a bachelor of arts in 2006. George then attended Valparaiso University School of Law and completed his Juris Doctorate in 2011. He was admitted to the Indiana State Bar and U.S. District Court, Northern District of Indiana Bar in 2011. George is a member of the St. Joseph County and Indiana State Bar Associations. In addition, George works as a court appointed attorney in Termination of Parental Rights cases and a Guardian ad Litem, representing children in family law cases. Chase was born in Fort Wayne, IN, in 1992. He attended Seton Hill University in Greensburg, PA and graduated with a Bachelor of Science in Sports Management in 2015. 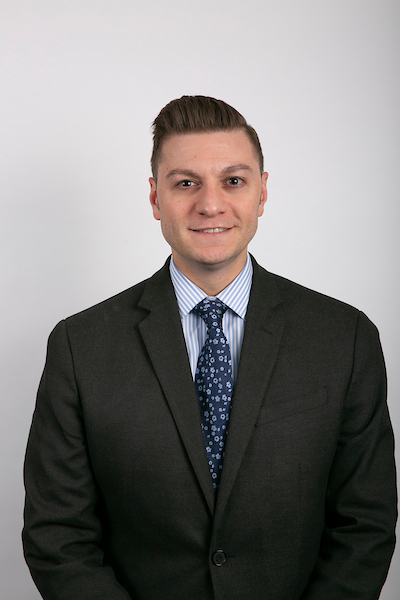 Chase then attended Michigan State University College of Law and completed his Juris Doctorate in 2018. He was admitted to the Indiana State Bar and U.S. District Court, Northern District of Indiana Bar in 2018. Kara joined our team in 2012 and is the Administrative Assistant to Attorney George T. Catanzarite. She serves as the Office Paralegal and is a licensed Indiana Notary Public. Jackie was born in Rapid City, South Dakota, and moved to South Bend as a child. Through the Co-Op program at Penn High School, she began her legal career at a small law firm in South Bend and worked there for approximately 20 years. In May 2011, Jackie joined Attorney Thomas Stipp as his Legal Assistant. Currently, she is the Office Manager and works primarily for Attorney Thomas Stipp within the fields of Family Law and licensed Indiana Notary Public since November 1992. Andrea joined our team in 2016 as our receptionist and assistant to the Office Manager. She has over 25 years experience working as an administrative assistant.